Nearly 70 years ago a local Salmon Fishing industry was started in Geographe Bay with a shed at Eagle Bay to process the fish. The Australian Salmon (Arripis trutta) conduct their spawning run from the great Australian Bight to high up the WA coastline between March and May each year. The fish are “partial spawners” meaning they will “school” up when conditions permit, fertilising eggs which drift with the currents as far back as South Australia. Australian salmon live for approximately 7-12 years and start the annual migration at about 3-4 years of age. 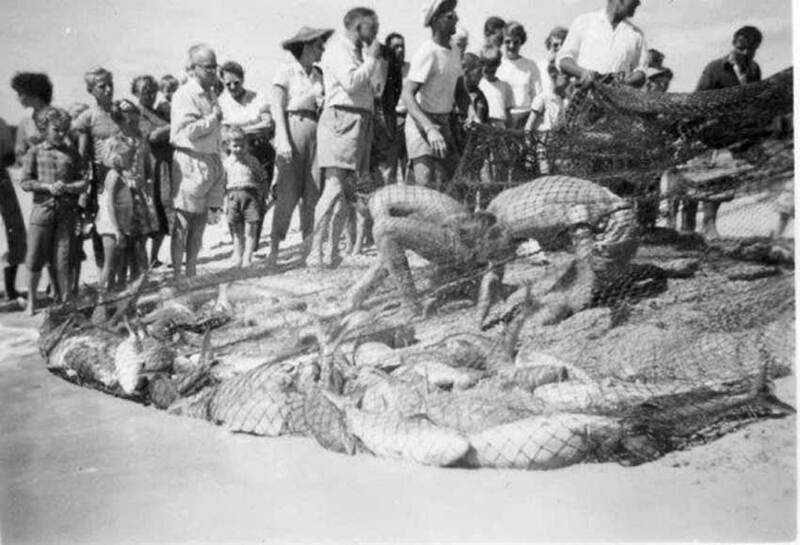 Commercial salmon fishing off the West Australian coast has been occurring since 1940, making it one of the oldest commercial fisheries in WA. 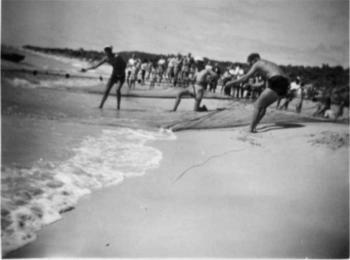 Commercial fishers in WA traditionally target salmon during the annual autumn ‘salmon run’ in March and April when large schools form near the shore. Traditionally the majority of salmon were caught from the shore by a method called seine where a net is rowed out encircling the school and then manually hailing the net and fish back to shore. Several families caught fish from boats by ring netting/purse seining the fish. In the early 1950's, local fishermen Jack Couch and Noel Wright started the Eagle Bay Syndicate and recruited members Dave Reid, Arthur Peak, Jack Farrell and Vince Miles. 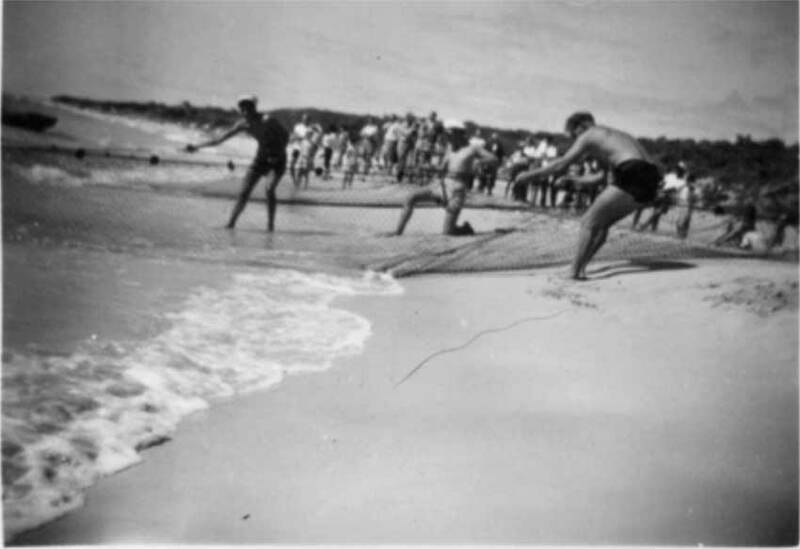 They employed men and women from the surrounding farming district to help pull the beach seine nets ashore and then clean the thousands of salmon before trucking them to a cannery in Perth. The syndicate joined forces with Bunbury based fishermen led by Nick Soulos who initiated the building of a 12x4 metre accommodation and storage shed at Eagle Bay to which was added a meals shed and a cleaning shed. An adjoining “Bakery” Mess was later built by Jack Couch. Only the concrete pads still remain today. Today the annual salmon migration from March to May is eagerly anticipated by many as recreational and commercial fishers flock to the coast at Eagle Bay, Meelup, Castle Bay and surrounds. 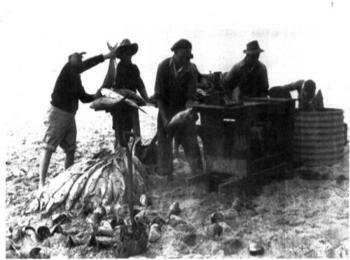 The West Coast Salmon Managed Fishery (SWCSMF) is one of two commercial fisheries in Western Australia and stretches from Hamelin Bay in the south to as far as Bunbury in the north. The fishery currently has six licences. “Ngari” Salmon Fishing is an important tradition for the Wadandi people, Aboriginal custodians of the park. “Ngari” Salmon migrate through this area between Bunuru-Djeran” seasons March - June feeding on “Narlung” herring and other small fish, squid and cuttlefish. It is an important seasonal food source for local Wadandi people and also indicated a change in the season coinciding with flowering eucalyptus and melaleuca trees from warm to cooler periods. The “Ngari” salmon are traditionally cooked on open fires along the beach surrounding sheltered bays or nearby bush camps. They can be cooked many different ways, (some whole baked with scales on, or smoked fillets, on a thatched frame rubbed with sea salt collected from the rocks), and accompanied by foraged greens such as saltbush, dune spinach, sea celery and coastal figs. Wayne Webb recalls his experiences as a kid: “ During Salmon season, on the weekend we would get taken to Eagle Bay to the “Salmon camp” where we camped, pulling the nets and loading up the old army truck we called Forby. As kids we were not allowed to use the ‘circular saw’ which was used to cut the heads off the Salmon and gut them, but with a wire brush we could clean them up taking great delight in being covered head to toe in fish blood, scales and guts”.